Mega Galvantula in game: 34 Who? Important notice! 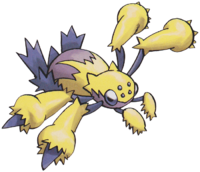 Pokemon Mega Galvantula is a fictional character of humans. Galvantula (Japanese: ????? 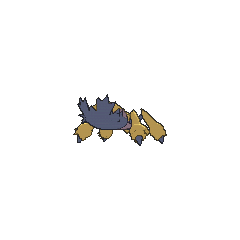 Dentula) is a dual-type Bug/Electric Pokémon introduced in Generation V.
A swarm of Galvantula made its debut in Scraggy—Hatched to be Wild!, where they attacked Ash's newly hatched Scraggy. Another swarm of Galvantula appeared in Crisis at Chargestone Cave!. A Galvantula appeared in Team Plasma's Pokémon Power Plot! as a test specimen of Colress. A Galvantula appeared in Meowth, Colress and Team Rivalry! 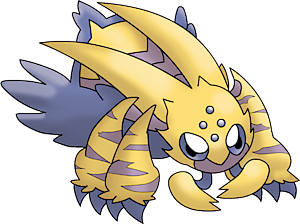 A Galvantula appeared in Cilan and the Case of the Purrloin Witness! under the ownership of Teaque. It battled Ash's Pikachu in the final of the Marine Cup Tournament but was defeated by him. 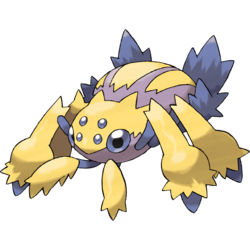 A Galvantula appeared in Emolga the Irresistible!, attacking Ash, Cilan and Bianca. A photo of a Galvantula appeared in The Four Seasons of Sawsbuck!. A Galvantula appeared in Jostling for the Junior Cup! under the ownership of Shepherd. 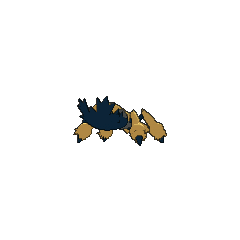 Dino also owns a Galvantula, which appeared in A Unova League Evolution! on the scoreboard of the full battles in his battle against Katharine. A Galvantula appeared in a fantasy/flashback in The Journalist from Another Region!. 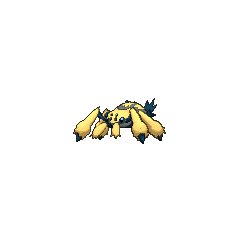 A Galvantula appeared in Team Rocket's Shocking Recruit!. A wild Galvantula attacked a BW Agency commercial shooting and injured several people in the process. It was defeated by Black, captured, and later named Tula. Pokémon Adventures Lights, Camera, Action When attacked, they compose an electric barrier by spitting out many electrically charged threads. When attacked, they compose an electric barrier by spitting out many electrically charged threads. It composes barriers from electrified silk that stun foes. This works as a weapon as well as a defense. Dentula may be a combination of ?? denki (electricity) or ?? denchu (lightpole) and tarantula. It may also involve ? chu (bug, an alternate reading of mushi). Mandarin Chinese ??? / ??? Diànzhizhu Literally "Electric spider"